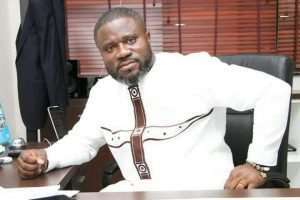 Board Chairman of the National Sports Authority, Kojo Baah Agyemang, wants the Ghana Football Association to enforce its laid down rule of expelling members who drag the Federation to court. “Every year we hear of an injunction being placed on the league. “I believe that the GFA should enforce regulations that will halt its members from bringing injunctions against the league,” he stated. The FA is currently locked in a legal battle with Accra Great Olympics Limited following a court injunction secured by the latter preventing the start of the Ghana Premier League and the FA's Congress. According to Article 21 (1) (4) of the GFA Statutes, clubs that fail to exhaust all internal modes of conflict resolution and seek redress at the Court of Law shall be expelled. According to the NSA board chairman, the FA must exercise better control over its members. The case in question has been adjourned to Wednesday, February 21.